Few if any, as this popular midsize sedan prepares to sail into the sunset. The current Altima design generation bowed for model-year 2013, got a fairly thorough upgrade for 2016, and is on track for a full redesign for model-year 2019. 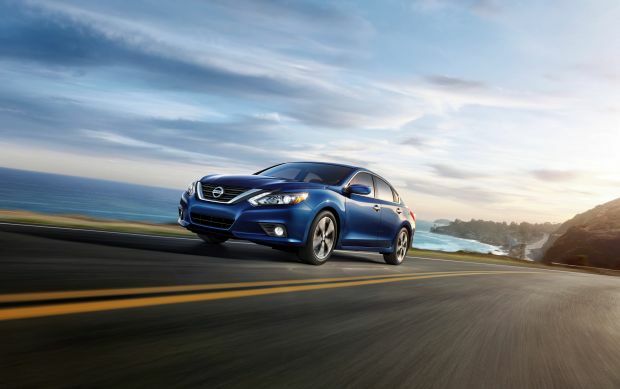 That leaves the 2018 version coasting on the ’16 changes while Nissan readies the all-new model. There’s an outside chance Nissan could drop this front-wheel-drive four-door’s available V-6 engine; it accounts for only about 10 percent of sales. Or the automaker could field a swan-song special edition with unique cosmetics and feature bundles. Major changes to engineering, bodywork, and amenities, however, await the full redesign. You probably shouldn’t. It’ll be a virtual rerun of the ’17, though with perhaps some new color choices and nominally higher prices. And facing replacement for 2019, the ‘18’s styling could rather quickly look dated and its features seem stale. On the upside, Nissan and its dealers ought to offer great deals as the 2018 model year progresses to clear inventories of the outgoing Altima. Assuming the V-6 returns, and barring a special edition intended to goose interest in its final season, expect the 2018 Altima lineup to repeat 2017’s. That means four-cylinder versions offered as the entry-level 2.5 model, the step-up 2.5 S, the sporty 2.5 SR, an upscale 2.5 SV, and the top-line 2.5 SL. The V-6 line would return in 3.5 SR and 3.5 SL form. Yes, if this particular take on family transportation fits your needs. It may not, if you’re among the legions abandoning traditional four-door sedans for high-riding crossover SUVs. Indeed, midsize-sedan sales are down more than 10 percent during 2016, while crossovers are enjoying double-digit increases. Even within Nissan, the Rogue compact crossover surpassed Altima during 2016 as the brand’s best-selling vehicle. 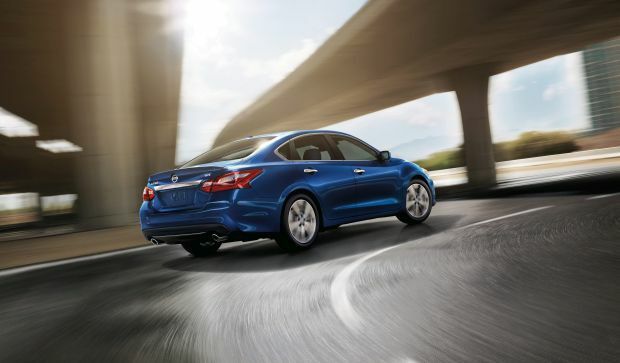 Altima sales were off 7 percent, so it fared better than the segment, although it dropped from second to third in the sales race, overtaken by the Honda Accord in a class again led by the Toyota Camry. The good news is that Altima is roomy and affordable and buying a ’17 will get you virtually the same car as an ’18, but without the almost inevitable model-year price inflation. Plus, it could be your final shot at the V-6. On the downside, the ’17 Altima is less refined than the Camry, less rewarding to drive than the Accord, and shows its age inside and out. It shares some underskin engineering with Nissan’s more expensive but similarly sized Maxima sedan. Redesigned for model-year 2016, Maxima is more upscale, more powerful, and has more extroverted styling. Its sales are up more than 60 percent in 2016, though Altima still outsells it 5-1. No, other than aforementioned possibilities like new colors and a special edition. Even then, the ’18 Altima will skate on the updates that came on line with the 2016 freshening. These included a revamped nose and tail with the latest Nissan-family cues, such as the “V-motion” grille design. The circa-2013 understructure and powertrains were carried over. For ’18, expect SR versions to again be distinguished by machine-finished alloy wheels, smoked headlights, and a small rear spoiler. Rolling stock should again comprise 16-inch steel wheels with wheelcovers for 2.5 and 2.5 S models, 17-inch alloys for the 2.5 SV and S2.5 L, and 18-inch alloys on the 2.5 SR and both 3.5 models. The ’18 will also continue the ‘16’s interior improvements, which included more soft-touch materials, reshaped seats, and a new central dashboard with repositioned cupholders. A possible special edition could combine some of these elements and even include such perks as leather upholstery; thus far leather’s been exclusive to the SL models. No new engines until the model-year 2019 redesign, which will also introduce a more modern new vehicle understructure. Nissan may be tempted to simplify assembly and marketing by offering the ’18 Altima with only the four-cylinder most buyers order anyway. Even if the V-6 returns, Altima’s aged engines will continue as a relative weak spot. Both deliver sufficient performance but are of a less sophisticated and less refined design than those of most rivals. For 2018, expect the 2.5 line to reprise a 2.5-liter four-cylinder with 179 horsepower and 177 pound-feet of torque. The 2018 Altima 3.5 models would feature a 3.5-liter V-6 with 270 horsepower and 251 pound-feet of torque. The V-6 is faster than the 2.5-liter four, but top competitors have transitioned to smaller-displacement turbocharged four-cylinders that match or beat both these engines for lively feel and smoothness. Every ’18 Altima will again use a continuously variable transmission. A CVT fulfills the duties of a conventional automatic transmission but without stepped gear ratios. More than most, this one does a passible imitation of a regular automatic, minimizing the elastic power delivery and droning acceleration typical of CVT powertrains. All ’18 Altimas should again have steering-wheel-mounted shift paddles, allowing the driver some manual-type control of the CVT. Ride quality has been good, despite too much bounding on wavy surfaces. Handling won’t be a strong suit: only SR versions, with their tauter suspension tuning, will offer much driver satisfaction. No mechanical change means a likely repeat of 2017 EPA ratings. That would sustain Altima among most fuel-stingy, non-hybrid midsize cars of comparable power — a credit to the efficiencies of the CVT and to Nissan engineering. Expect the 2.5 line to again rate 27/39/31 mpg city/highway/combined, with the 2.5 SR a shade behind at 26/37/30. Look for the 3.5 models to repeat at 22/32/26 mpg city/highway/combined. None likely — other than shuffling to support any end-of-generation special edition. We’d hope Nissan’s commemoration would extend Altima’s most noteworthy driver aids beyond just the most expensive trim levels. For 2017 models, autonomous emergency braking was available only as part of the Tech Package option priced at $2,190 for the 2.5SL and $1,180 for the 3.5SL. (The 2.5SL price includes an imbedded navigation system, which is standard on the 3.5SL.) The braking system’s ability to warn the driver and then automatically stop the car to mitigate a frontal collision is a prerequisite to the industry’s most coveted safety rating, the Top Safety Pick+ award from the Insurance Institute for Highway Safety. The SL Tech Package also includes adaptive cruise control to maintain a set distance from traffic ahead. Making its safety adjuncts available to buyers of lesser means would be a fine 2013-2018-generation Altima sendoff. Meantime, expect a decent array of amenities to continue. These include Siri Eyes Free connectivity as standard on all but the rental-fleet-oriented, entry-level 2.5 model. All but the entry-level 2.5 Altima should again come with a rearview backup camera. Same for NissanConnect with Mobile Apps, which can link you to smartphone-based navigation – as long as there’s a cell signal. An embedded navigation system should return as standard on the 3.5 SL and optional on the 2.5 SL and 2.5 SV. That useful aid includes smartphone integration for Android and iPhone operating systems and a 7-inch, rather than 5-inch, dashboard screen. They’ll almost certainly increase, though probably modestly and will remain in line with comparably equipped Accords and Camrys. Frequent factory incentives, in combination with inventory-clearance sales, will keep ’18 Altima transaction prices very competitive with most others in the class, too. The 2.5 SV should again be the most popular model and among its notable options, expect the Convenience Package to remain priced around $1,350 and again include such amenities as a power moonroof, rear climate-system vents, an automatic-dimming rearview mirror, mirror-mounted LED turn signals, a compass, and one-touch up and down front-passenger power window. Also of note will be the $500 Cold Weather package that heats the steering wheel, front seats, and outside mirrors. Look for a 2018 Nissan Altima release date in fall 2017. Nissan could act for model-year ’18 on liberalizing availability beyond just the SL models of safety features like adaptive cruise control and frontal-collision-mitigating automatic braking. Buyers will have to wait for the next-gen Altima for turbocharged four-cylinder power and a chassis developed with sharper handling in mind.